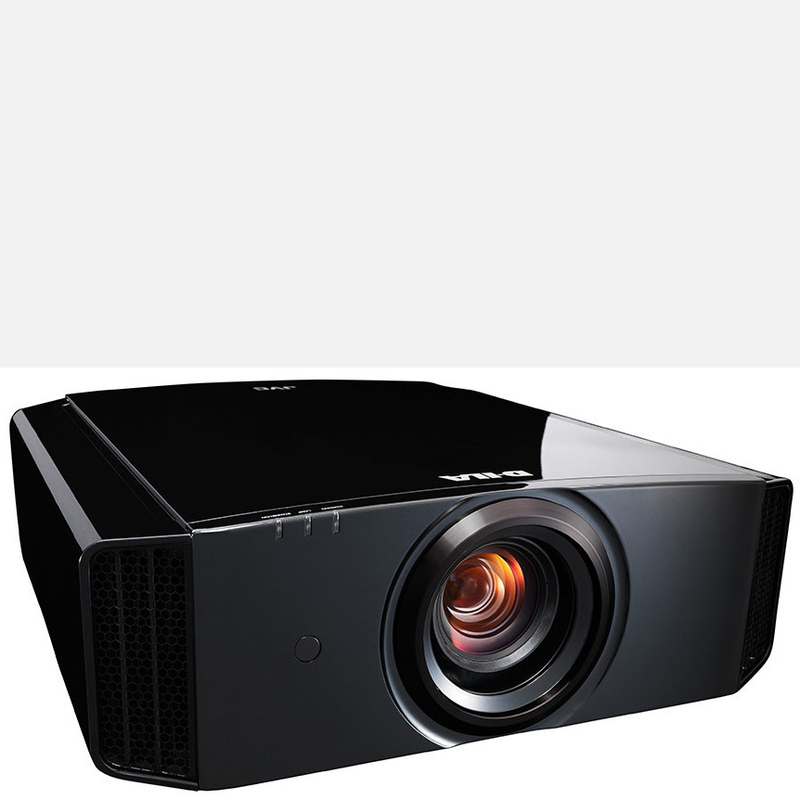 JVC’s range topping DLA-NX9B projector will be on demo here at Ideal AV from mid December all being well, please book a demo by ringing 07830 034521 or 01924 781011. 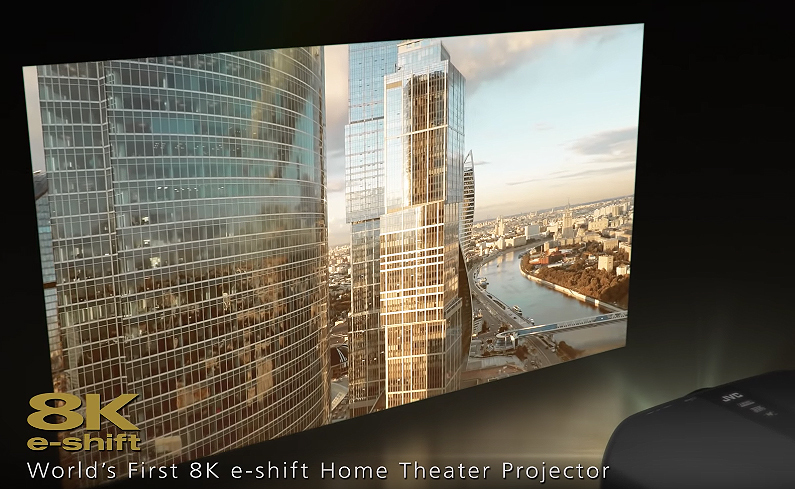 The World’s first home theatre projector with E-Shifted 8K display. 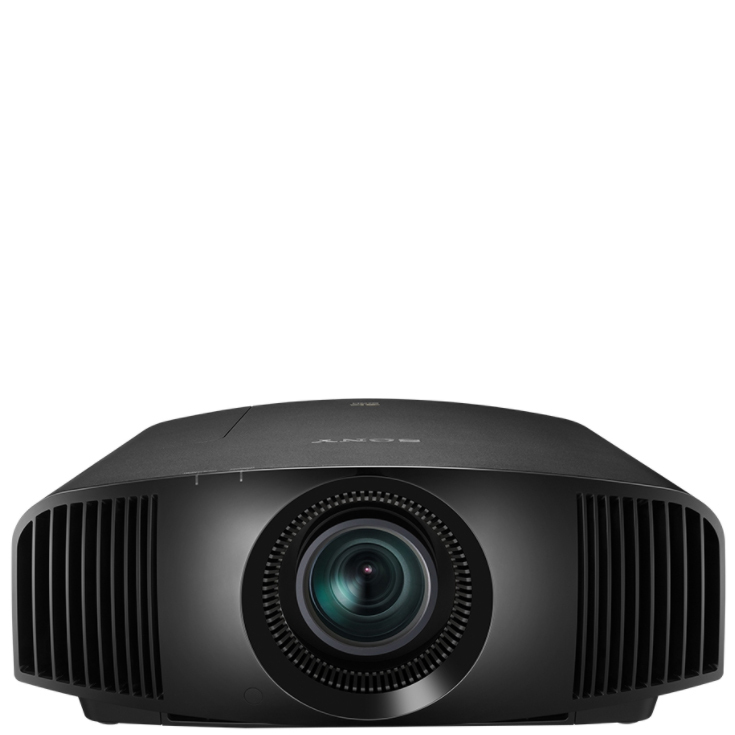 JVC have launched a totally new line up of three D-ILA projectors adopting the newest Native 4K D-ILA devices. 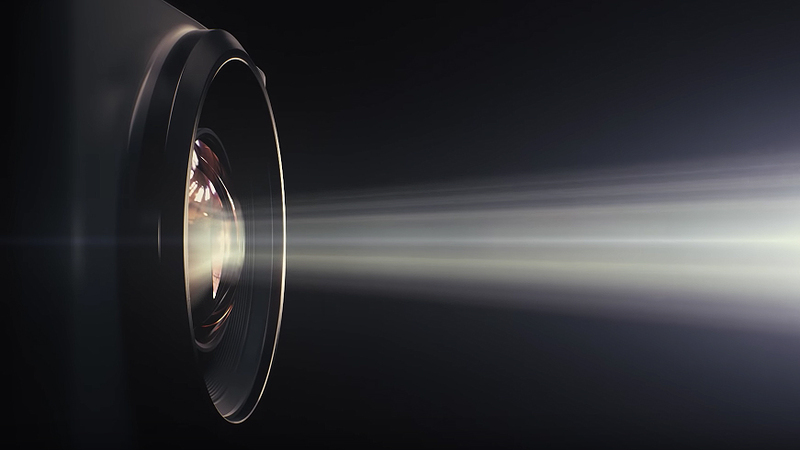 The range topping JVC DLA-NX9B is the world’s first 8K e-shift home theatre projector. 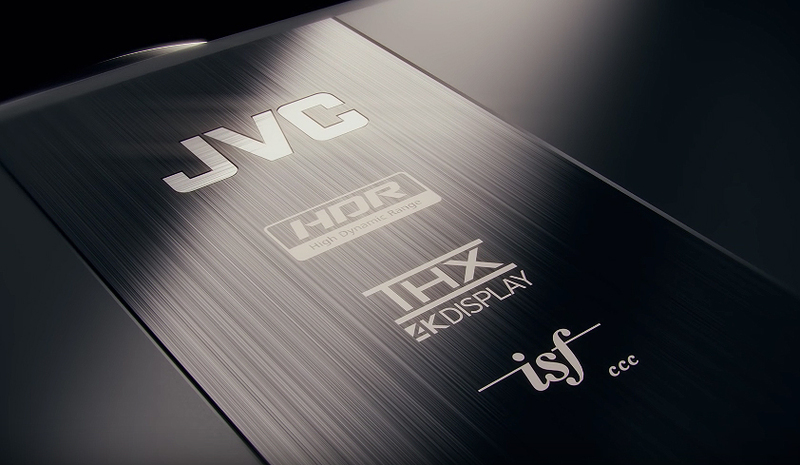 In 2016, JVC launched the flagship model “DLA-Z1” equipped with 0.69-inch 4K “D-ILA” device, which has received high reputation for its high definition images. On the other hand, 4K contents such as UHD Blu-ray and 4K streaming, 4K broadcasting are increasing, and the demand to easily enjoy high quality 4K images are also increasing. 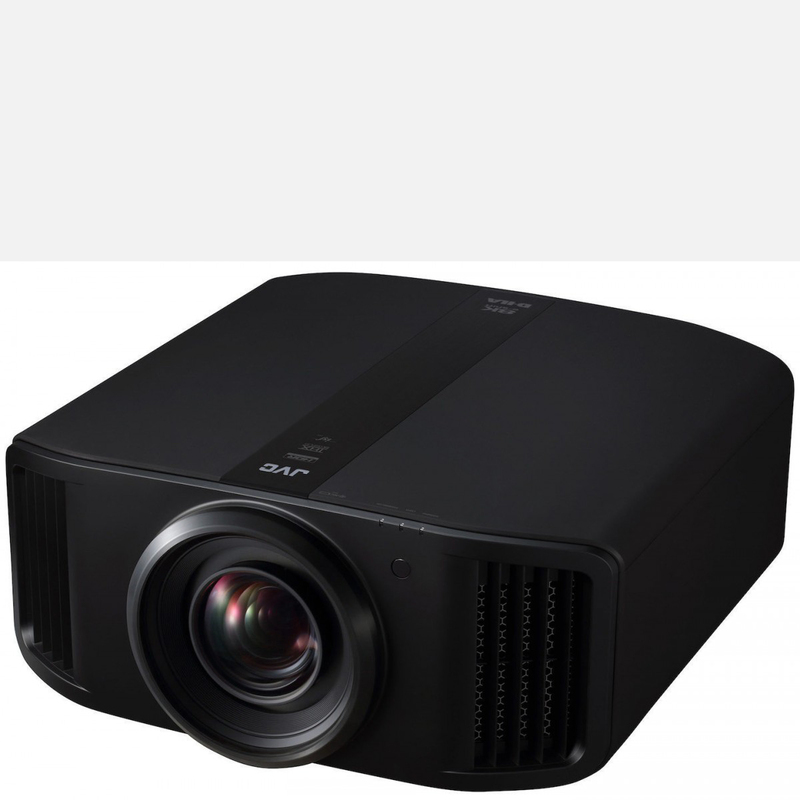 Under these circumstances, JVC have released a new line-up of D-ILA projectors that incorporate they’re newest 0.69-inch Native 4K D-ILA device, which enable high-definition display. 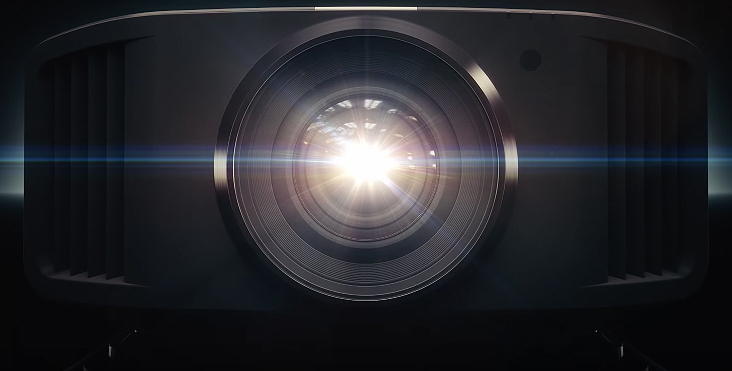 The JVC DLA-NX9B is equipped with 8K e-shift technology and it is the world’s first home theatre projector that achieves 8K display*. In addition to detailed imagery exceeding 4K, it also combines high brightness, high contrast, wide colour gamut, and creates images that are closer to reality than ever. “e-shift” is JVC’s proprietary high resolution display technology that doubles the resolution by shifting pixels diagonally 0.5pixel. 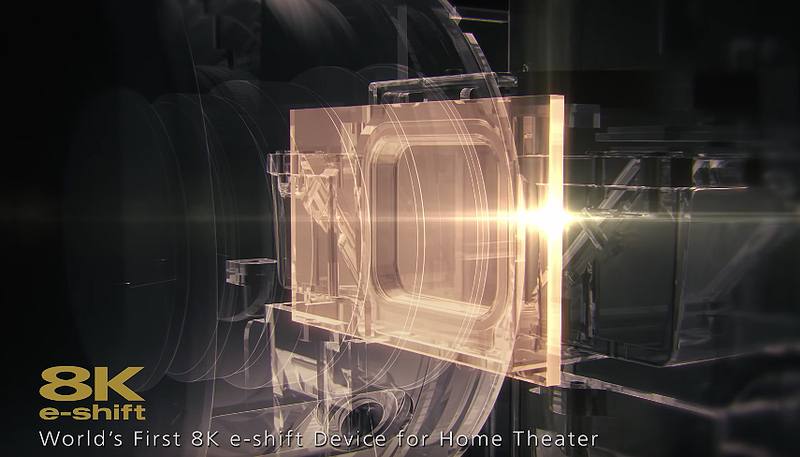 This e-shift technology together with the Native 4K D-ILA devices, the JVC DLA-NX9B produces an 8K image on the screen. 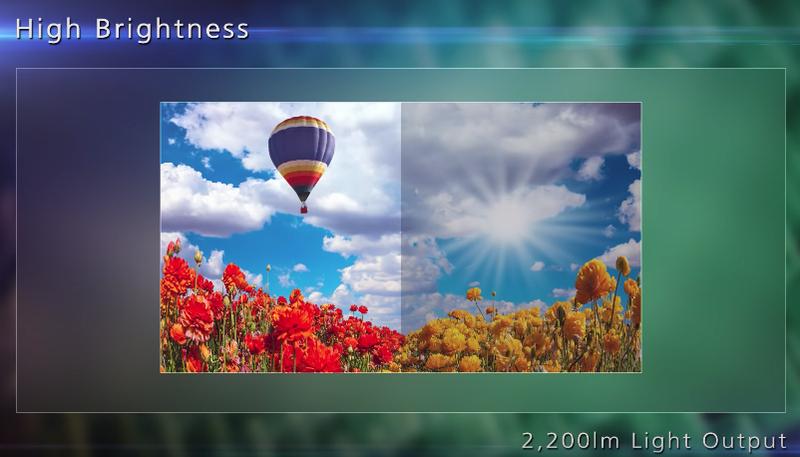 The 8K e-shift image produces much higher resolution than 4K that rival reality even on large screens. Also, by using original high-resolution technology “Multiple Pixel Control”, full HD and 4K images are also converted to high-definition 8K images*. 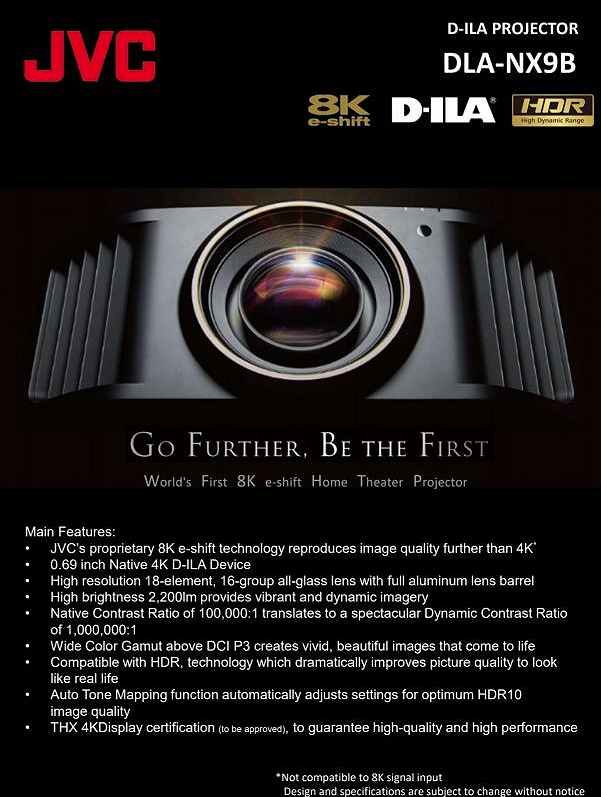 The newest 0.69 inch native 4K D-ILA device with 3.8 ㎛ pixel pitch achieves high resolution display of 8.8 million pixels (4096 x 2160 pixels), and with improved planarization technique which reduces light scattering and light diffraction results in both improved brightness and black level compared to conventional device. The narrow pitch provides Native 4K imagery with smooth, detailed picture without any visible pixel structure even on large screens. 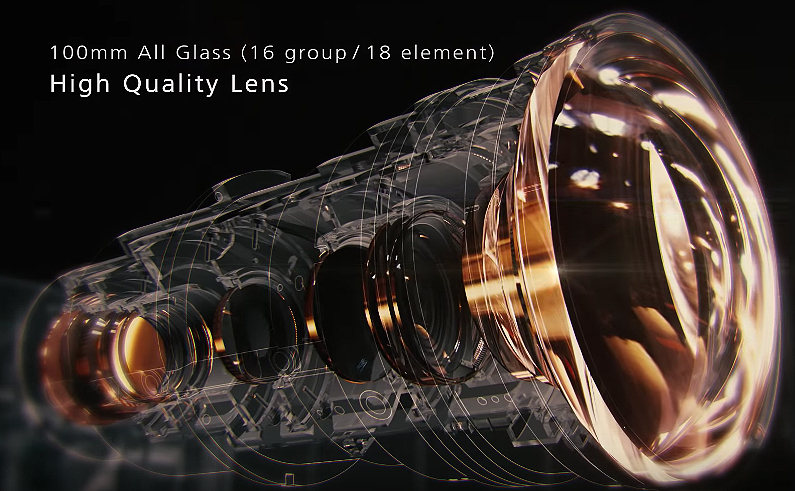 The JVC DLA-NX9 is equipped High resolution 18-element, 16-group all-glass lens with full aluminium lens barrel. To ensure high resolution up to every corner of the screen while realising a wide shift range of +/-100% vertical, +/-43% horizontal, 100 mm diameter lens is selected. Not only that, 5 special low dispersion lens considering the different refractive index of Red, Green and Blue, has been adopted to suppress chromatic aberration, bleeding etc. and faithfully reproduce the 8K resolution. 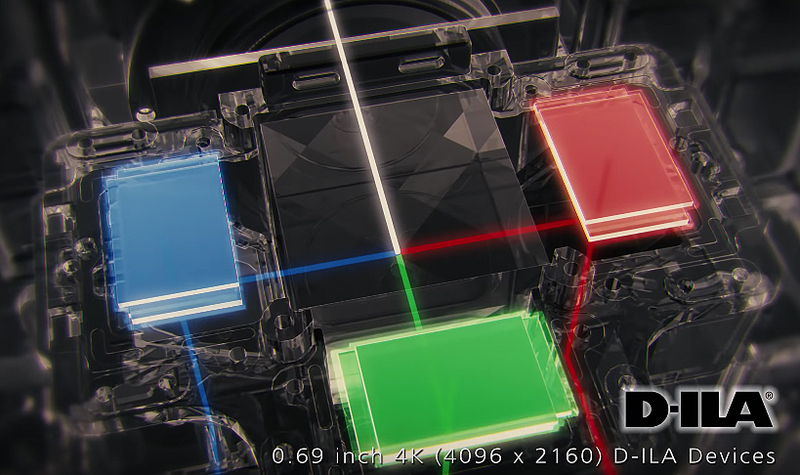 The HDR10 mastering information MaxCLL (Maximum Content Light Level) / MaxFALL (Maximum Frame Average Light Level) varies greatly depending on each content. Therefore, in order to achieve the best HDR10 experience it is necessary to set the appropriate brightness settings for each content. The new “Auto Tone Mapping” function equipped in the new line-up automatically adjust settings based on the mastering information (In case of content that does not contain mastering information, it will be fixed value or manual adjustment). Various HDR images with different brightness can be viewed optimally without manual adjustment of the settings. HDR content has more information than ever, such as expansion of luminance range, wide colour gamut such as BT2020, 10 bit gradation, etc. High performing, high precision projector is required for accurate image reproduction of such contents. 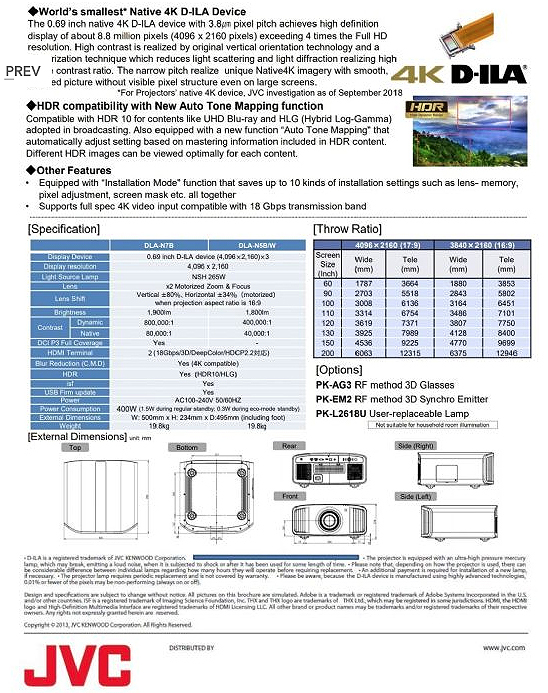 The new D-ILA projectors faithfully reproduces HDR10 contents such as UHD Blu-ray, in addition to the HLG (hybrid log gamma) adopted in broadcasting etc., with its “high brightness, high contrast, and wide colour gamut”. Combination of 265W ultra-high pressure mercury lamp and highly efficient optical engine realise high brightness of 2,200lm JVC DLA-NX9B . Together with the new D-ILA device which has narrow pixel gap and improved light efficiency realise smooth, powerful image. New 0.69 inch native 4K D-ILA device and optical engine with wire grid realise native contrast ratio of 100,000:1 JVC DLA-NX9B. 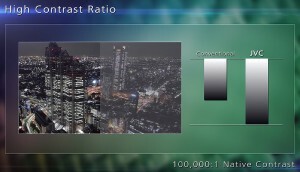 In combination with “Intelligent Lens Aperture” which analyses the input image and automatically controls the black level, we realised a spectacular dynamic contrast of 1,000,000:1. Together with the ultimate dynamic range brought by high brightness offer immersive high quality image experience. 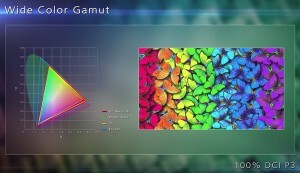 By adopting the new cinema filter, the JVC DLA-NX9B achieves a wide colour gamut beyond DCI-P3 as well as BT.709. HDR content such as UHD Blu-ray has adopted a wider colour gamut than before, and with a wide colour gamut D-ILA projector, it is possible to reproduce rich colours such as crimson rose and fresh green of trees, and the natural gradations of sky and sea. “Clear Motion Drive” is JVC’s original motion control technology which also supports 4K60P (4:4:4) signal. The feature has been renewed for the new line up improving moving images more than ever. Together with “Motion Enhance” which optimises the driving of D-ILA device according to the motion of the image, motion blur is reduced significantly compared to conventional projectors.